Evening Grosbeak party at the feeder. It was a chilly night last night, -3. 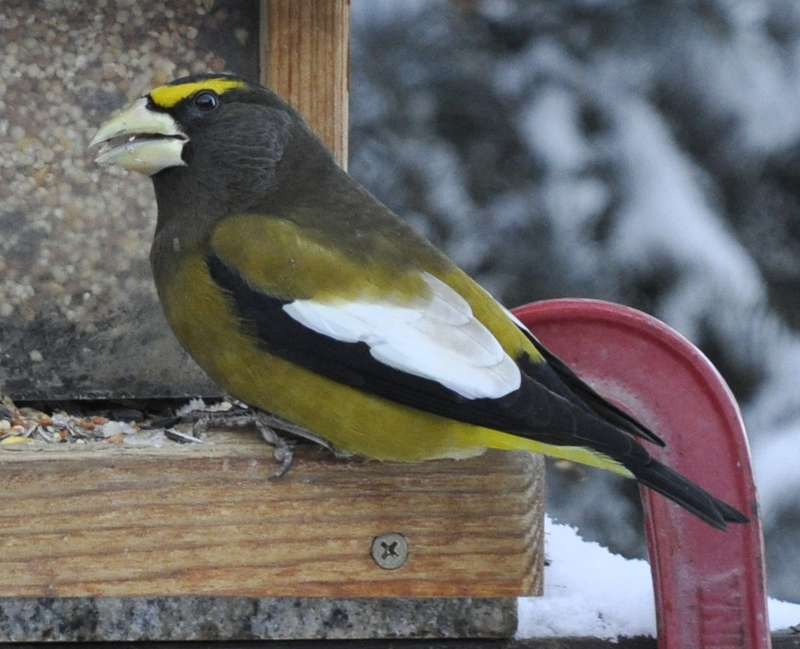 We had about 2″ over night and after we loaded the feeder we got a flock of Evening Grosbeaks this morning. The group was one of the bigger ones we have seen, about 20 birds crowding about the feeder. I could hear them chirping through the glass, I popped a few pics through the window but was not happy with the shadows. In the past when I opened the slider they scatter but today, maybe because of the cold and their hunger, I was able to grab a few pics through the slot.